A natural summer popcorn movie released (much like fellow weather action disaster flick Geostorm) at the wrong time of the year, adding a high-tech heist subplot to the Category 5 set action helps The Hurricane Heist start things off on much better footing than Dean Devlin's roughly hundred million dollar Geo bomb. Unfortunately, bogged down by bad acting as well as a densely convoluted script that abandons its strong first act characters and subplots as it continues, it isn't long before otherwise master of over-the-top director Rob Cohen's increasingly all over the place Hurricane goes completely wrong. Originally based on a story by Drop Dead Fred screenwriters Anthony J. Fingleton and Carlos Davis, the source of Heist's problems could go back decades as we wonder how long it's been in the works and/or passed on over the years. Yet unlike its previously experienced screenwriters who penned a cult hit with Fred, this incarnation of Heist was written by Jeff Dixon (whose most notable claim to fame is producing a series of female oriented Breathless Body exercise DVDs) and Scott Windhauser, who in addition to a few credits rewriting other scripts obviously possesses the perfect name for a windy movie. 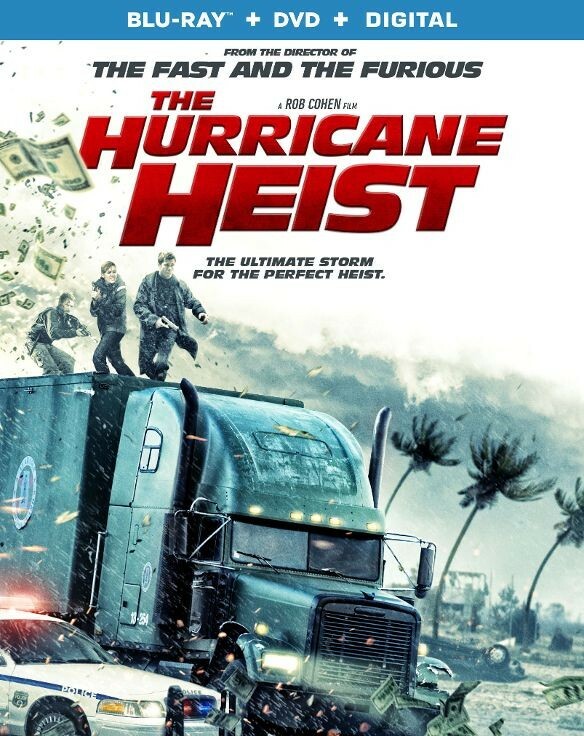 Looking to take advantage of the chaos of a Category 5 hurricane that's about to hit Alabama, in the film a group of criminals attempt to beat the clock on the storm and steal $600 million in cash from the U.S. Mint. 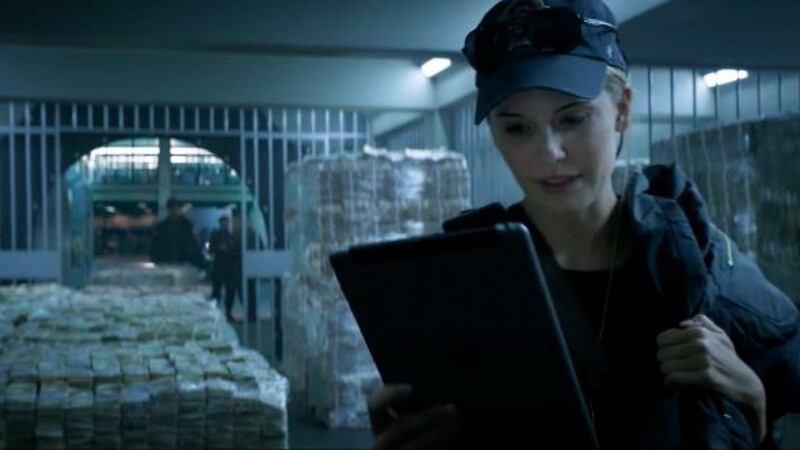 Hoping to right a past wrong that got her reassigned from a more high profile post to money babysitting duty, with most of the town evacuated, ATF Agent Casey Corbyn (Maggie Grace) winds up trying to take them on herself. Not on her own for long, Casey is grateful to find backup in the form of Will and Breeze Rutledge (played by Toby Kebbell and Ryan Kwanten), two very different brothers with – to misquote Maggie Grace's most famous film Taken – two very different sets of skills. Having experienced a devastating loss during Hurricane Andrew, which is brought vividly to life in the film's potent opening sequence, the brothers did their best to cope. Whereas Breeze tried to push the past behind him by enlisting in the Marines, his younger brother Will decided to learn everything he could about the weather and its power by becoming a meteorologist. But what Will lacks in Casey and Breeze's tactical skills, he makes up for in know-how and machinery – conveniently driving a souped up storm chasing truck that (in the hands of the director of The Fast and the Furious) becomes another star of the film. Striving to anchor The Hurricane Heist (at least a little) by infusing it with a surprising amount of real climate change science, what begins as a promising cross between Twister and Cliffhanger soon devolves into a series of increasingly dubious stunts which make it look less like a film than a video game and magnifies its flaws on the small screen. In contrast to the way that director Mikael Salomon ensured that the stunts in the similar genre effort Hard Rain were believable enough to deliver a sleeper hit that still holds up today, as evidenced throughout his filmography to both good and bad effect, Rob Cohen has never met an action scene he didn't want to crank up to an eleven. Requiring viewers to switch off the logical side of their brains, Hurricane's direction results in some entertaining though ultimately ridiculous sequences including a memorable one set in the middle of the town's shopping mall that turns the otherwise talented but woefully miscast Kebbell and always affable but wasted Grace into human kites. Initially adding a rich texture to what could otherwise have been a sea of gray, although it's well shot by Captain America: The First Avenger, Percy Jackson: Sea of Monsters, and Jurassic Park III cinematographer Shelly Johnson, the film's continued reliance on visual effects gives things an overly digitized look on Blu-ray and DVD. Requiring a newer soundbar or home theater system to fully appreciate the Dolby Atmos remix that can otherwise vary greatly in high and low sound, though it's passably amusing, in the end, The Hurricane Heist disappoints when you realize just how good Cohen's movie could've been, if only it hadn't have changed with the weather and let everything that was making it work blow away.